Usually it is believed that sad lonely people are addicted of taking too much selfies. For that purpose the selfie-stick has bestowed the world with an invaluable tool for documenting every self-centered whim. 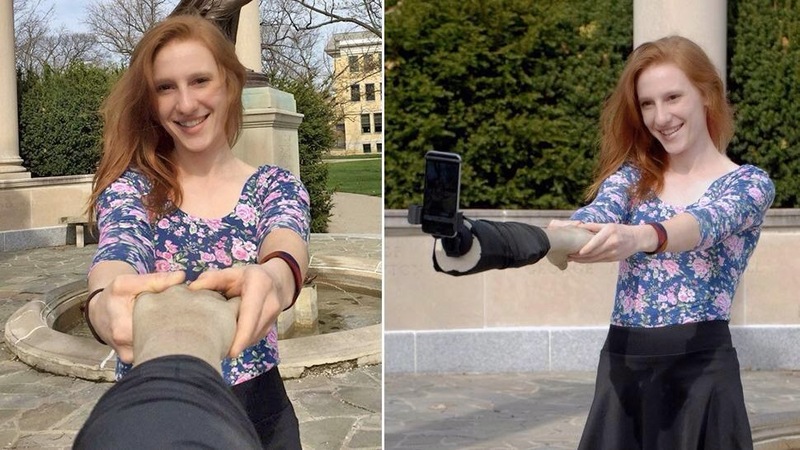 The new design prototype Selfie arm constructed out of lightweight fiberglass material, gives selfie fanatics the illusion of having friends. The arm pretends to belong to a close buddy, family member or significant other. “Nobody wants to look alone while they mindlessly snap pictures of themselves,” Justin Crowe’s website says, a tad judgmentally. The lonely people may get the feeling by this fake arm and will have their own fake perception of being with someone, but here rises a question. With whom they’ll be sharing those photos if they have no one to be with? Well for me this arm looks bit creepy.